Greetings from the Rocky Mountains of Colorado! New America College is a well-established, accredited school for English Language Acquisition (ELA) education in Denver that hosts students from more than 48 different countries. Our blogs are created to feature students from our diverse, international community. We will also post information about school activities, local news, and other interesting events happening in and around Denver that may be of interest to you! With access to the Rocky Mountains, there is never a shortage of cool outdoor activities to keep you busy during any season of the year. Plan on finding more information about interesting local activities here! Also, if you are a member of a local club or organization, please do let us know about any interesting events taking place in and around the city. 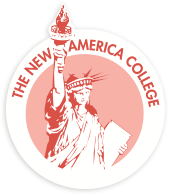 Please feel free to send your thoughts and ideas for future blog posts to jbrown@newamericacollege.edu.